Is there an issue with the existing wireless card? If so, please do post the description of the issue and the model of the wlan card on the system and we can help fix it. And for info - The Inspiron 7347 is compatible with only 3 wlan cards due to the form factor - Dell Wireless 1707, Dell Wireless 1708 - both of these include bluetooth. And also Intel Dual Band Wireless 7265 - however the bluetooth on this is optional. (AC 7265 has BT - N 7265 does not have BT). Thanks for the info Hrishikeshav. Now I know there is a M.2 form factor. I bought a mini PCIe card to replace mine to then realized that it didn't fit. Was wondering what the new form factor was. In my case, the 7265 card that came with my Inspiron 13 didn't work well under Linux (very unreliable connection). Intel doesn't have Linux driver for the 7265 card yet. I could not find any related drivers as well. However, you could check these 2 links - where other users have described the same issue and apparently managed to solve the problem by disabling the power management. I am having similar wifi problems with an Inspiron 7347 running Windows 10 using a 1708 wifi card. I've tried disabling power management which fixed a problem with connectivity at home. I do most of my work at the library and managed to fix a problem of continuous internet drops there by downgrading the driver from a 7/30/2015 driver to a 1/28/2014 driver however this solution is still problematic because it creates problems with my home network and is easily overwritten by various auto-upgrades. The newest problem with my wifi card is that I can get connected at the library but there's no protocol DHCP exchange. It seems to be a clear hardware problem because if I use an ASUS wireless dongle all is fine. Plus, I have an ASUS laptop right next to the Inspiron with no problems at all. Do you think the problem might be related to faulty card antenna connections? The machine is still under warranty. Do you think I should get Dell support to fix it? 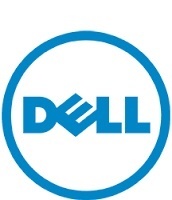 I read many less than favorable things about Dell support so have not taken that step yet. I have had an issue with my Dell Inspiron 13 (7347) since it was new. The wifi will stop working and it doesn't even show that I have wifi. I have disabled "Allow the computer to turn off this device to save power" option in Device Manager (as was suggested in another forum) and also unchecked TCP/IPv6 in wifi properties (also suggesting in another forum). I still have this issue occasionally and it usually takes about 30 minutes to get it working again and I have no idea why it starts working. When I do a restart of the PC after disabling and re-enabling the wifi adapter, it takes about 10 minutes for computer to restart. This is a very frustrating issue. Any help in fixing this problem would be greatly appreciated.